TO PROVIDING APPROPRIATE SPECIAL SERVICES TO CHILDREN AND YOUTH WITH SPECIAL NEEDS. Complying with the state and federal law, and our local commitment, the District provides to each identified student any and all related aids, services or accommodations, without discrimination or cost to the student or family. These are needed to provide equal opportunity to participate in and enjoy all the benefits of after-school programs and extracurricular activities to the maximum extent of one’s abilities. We provide for both exceptional students and “protected handicapped” students with physical and intellectual disabilities which limits or prohibits participation in, or access to, an aspect of public education. If you believe that your school-age child may need Special Education Services and related programs, or your young child (age 3 to school-age) may need early intervention, you may request screening and evaluation at any time, at no cost whatsoever, whether or not your child is enrolled in the District. Throughout the year, the District carries out ongoing activities to identify students who may be eligible for Special Education or related programs. These services include the evaluation of students, recommendation to teachers, and parent conferences. Psychological tests are administered for a variety of reasons by the school psychologist. Parents/guardians will be advised in advance of the need for testing and must give consent for the testing to be done. After the testing has been completed and reports prepared, parents/guardians are notified and appropriate conferences are scheduled. If a student is identified as exceptional, after the psychological evaluation, a Multidisciplinary Evaluation (MDE) will take place. Information will be recorded from the student’s parents/guardians, persons familiar with the student’s educational experience and performance, and the psychologist. This evaluation may lead to recommend whether a student is exceptional and/or in need of some type of Learning Support, presented in an Evaluation Report (ER) developed by the District in consultation with a child’s parent/guardian. 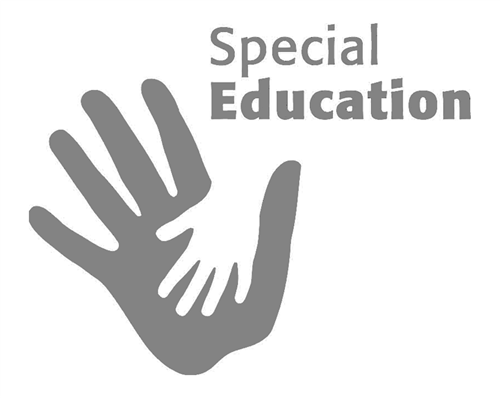 If special education services are required, an Individual Education Plan (IEP) will be developed that details services required. Those who suspect that their child is exceptional may request a Multidisciplinary Evaluation for their child any time throughout the calendar year. Services of a speech therapist are available to children referred for help in verbal communication. Diagnostic and corrective procedures are administered. The therapist will screen both current and new pupils in kindergarten for possible speech/language defects. Other students will be screened at the request of the classroom teacher, principal and/or parent/guardian. In the District, the elementary schools have a guidance counselor, the middle school and high school each have two counselors. Counselors provide an array of services to all students and, as history has shown, is an excellent resource for parents/guardians. A number of classes are offered for students with learning challenges. Learning Support, Life Skills Support and Multiple Disabilities Support are available. In addition, classes are held for the Gifted, Learning Disabled, Autistic Support, Emotional Support, and Hearing and Visual Support. Some services may take place in an out-of-district placement dependent upon need. To meet the special education needs of gifted students, the District has provided, with highly effective results, a resource classroom approach. The program has met specific goals in affective, cognitive, socialization, leadership and creative areas. Formal steps are followed for admittance to the program. Programs are available for children who have been diagnosed as Learning Disabled. Some students qualify for full-time assistance to help overcome their learning disability, and others are provided part-time assistance. For a list of standardized tests used in the district, please contact Jennifer Connelly, Director of Pupil Services. Parents/guardians are to notify the Superintendent’s Office for information about the format and regulations of home schooling, which is designed to education one’s child at home. This is a service provided to children who cannot attend regularly scheduled school for a prolonged period due to a bonafide medical or psychological problem. Upon receipt of a medical excuse from the doctor or psychiatrist, the District will provide tutorial help for the student. From initial screening assistance to special instruction, a hearing teacher is available as a “second opinion” to the school nurse by IU 4 before a student is referred to an audiologist. If a child shows a significant loss of hearing or difficulty in class, special sessions are set up to provide auditory, speech, reading and language instruction. Depending upon the severity of loss, intervention can range from consultation to inclusion in a resource room. Interpreting services are also available upon determination of a child’s need. The District’s Vision Impaired program offers support services to children identified as blind and/or visually impaired. Children who qualify must have a visual field of less than 20 degrees and/or 20/70 or worse in the best eye with correction. Children range from age 3 to post-12th grade are served. Support may be provided within the school or home setting by the IU 4 staff. Equipping all learners for successful futures. For further information about programs, evaluation and screening, as well as about rights of parents and children and due process, please contact Jennifer Connelly, Director of Pupil Services at 724-458- 6733 ext. 2140, Dr. Jeffrey Finch, Superintendent at 724-458-6733 or any building principal.